Forum member “festiva” has posted about his experience setting up a touchscreen display to work with his MediaSmart Server LX195. 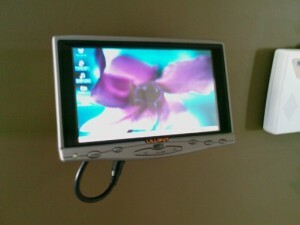 The display is mounted on the wall near outside the closet that houses the LX195. Here is festiva’s description of the project. 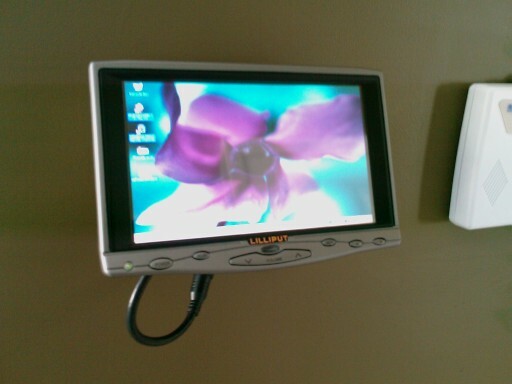 I have successfully installed a Lilliput 7″ touchscreen monitor directly to my LX195. I accomplished this with a VGA/USB adapter. Although the monitor doesn’t actually work until Windows starts up, it functions fine after that and is a nice interface for my home automation software. I bought the parts new on ebay. The total cost was under $200. Although I wasn’t really sure that the touchscreen would work, the whole process was not that difficult. I have the mControl home automation software WHS addin on the server and use the touchscreen frequently to program and operate it. There are several steps required to get drivers installed and the virtual keyboard set up for logging into Windows, but festiva has documented the steps well in this forum post.